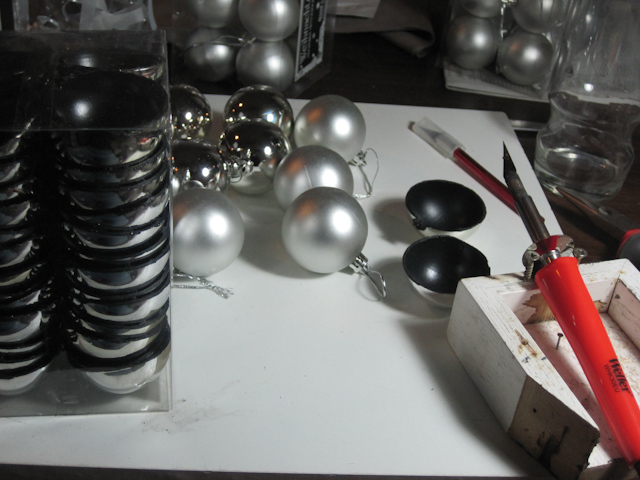 To motivate myself (and to keep you entertained) I’ll show you some pictures of the recent progress. With my bold head glittering from cold sweat I took a soldering iron and separated my nice round [Kugel wireframe] into segments again. Luckily that went well, if I ignore that I had to buy a new power iron because the old one broke for no apparent reason(it was exactly one! day over its warranty). 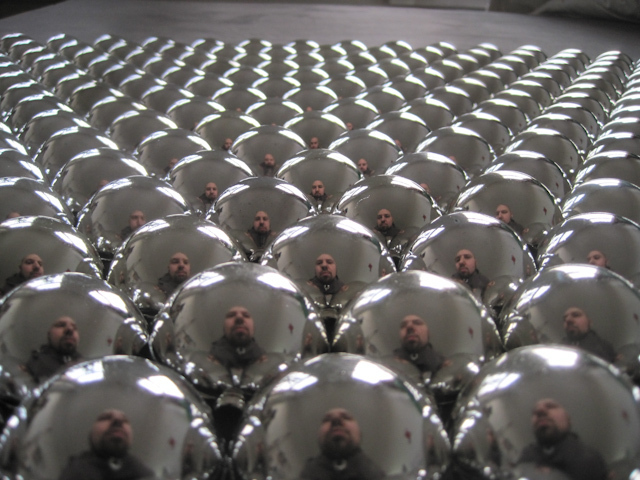 To those elements I attached my freshly cut [mirror balls]. 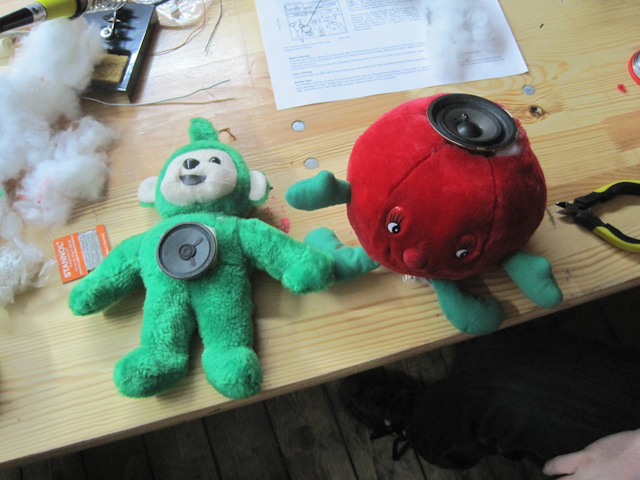 I also took the [useless PCBs] as dummies and attached the to the icosahedron inside. 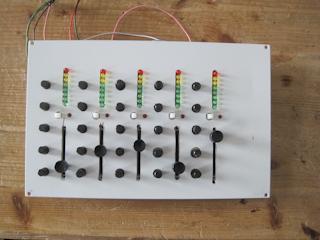 I then tried to figure out a pattern how to attach the speakers to the PCBs inside, which was a bit tricky because the cables wont be distributed evenly. 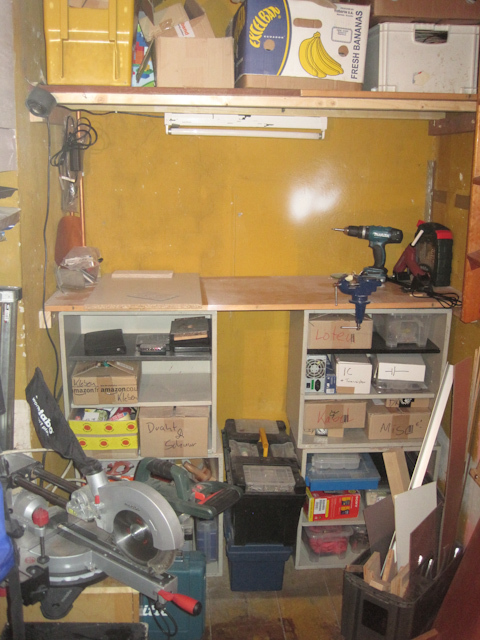 I used the time around christmas to build a little workshop into my 3sqm closet. 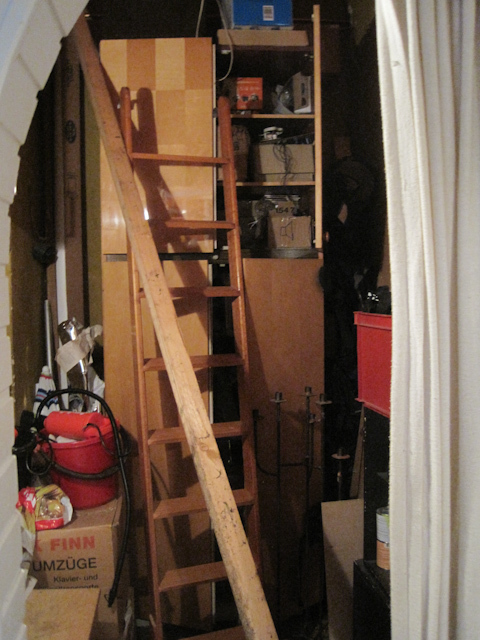 I used the parts of the wardrobe that stood in there to build a rack and a workbench. A dear friend of mine passed away yesterday. He was there whenever I needed him, always helping out when things needed fixing. 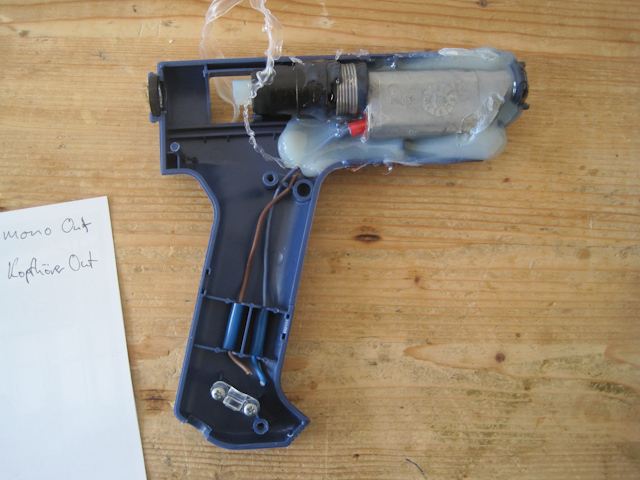 Steinel glue gun died in service, choking on its own output. Apparently the glue hardened in the extended glue tip I used and I applied too much pressure on the glue feed, which made the glue search for another way out. Steinel Gluematic 3002 will be missed (at least until my Reichelt order arrives with a substitute). 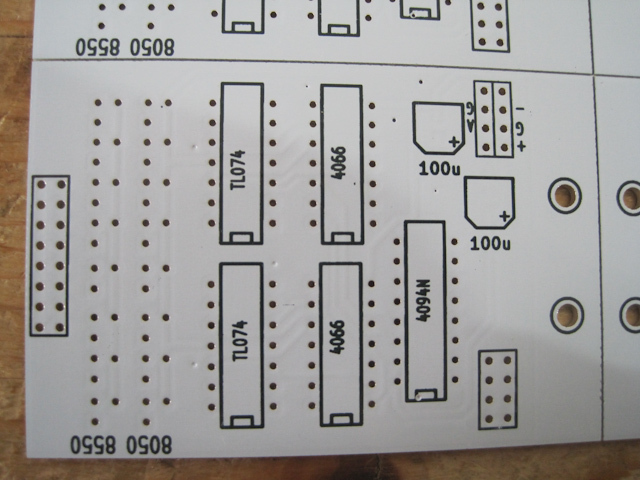 Etching your own two sided boards is quite a hassle. 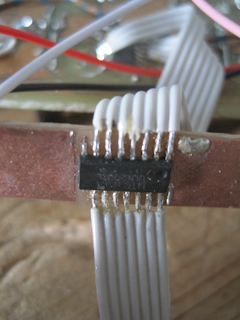 Apart from getting your foil print right, having both sides in line and doing all the drilling, I found making vias with wires quite tiresome. 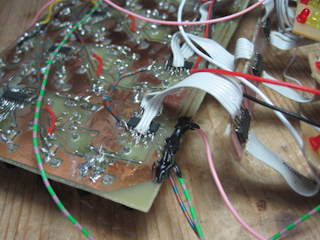 The wires tend to leave the holes again whenever you try to solder something surrounding them. Especially when working with fine tracks (which is mostly the case with me, nowadays) this can be very annoying. 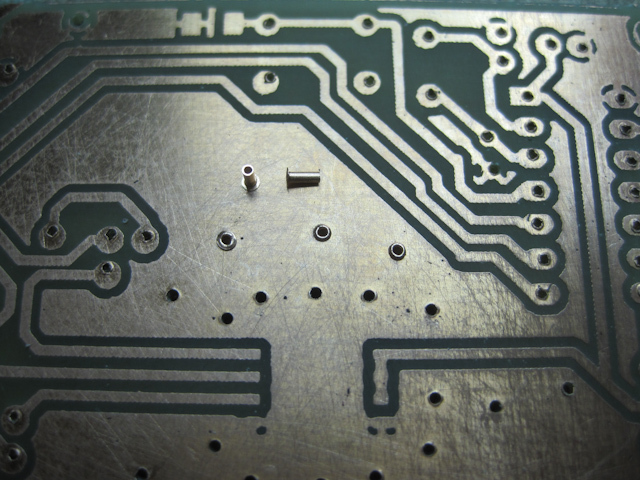 Here, the rivets are used to conduct heat of a 3W LED to the back of the pcb. 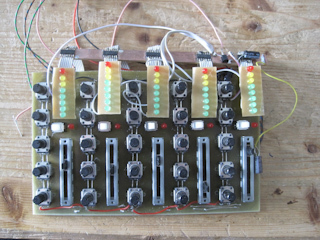 For the next version I will use an MC34063 instead. 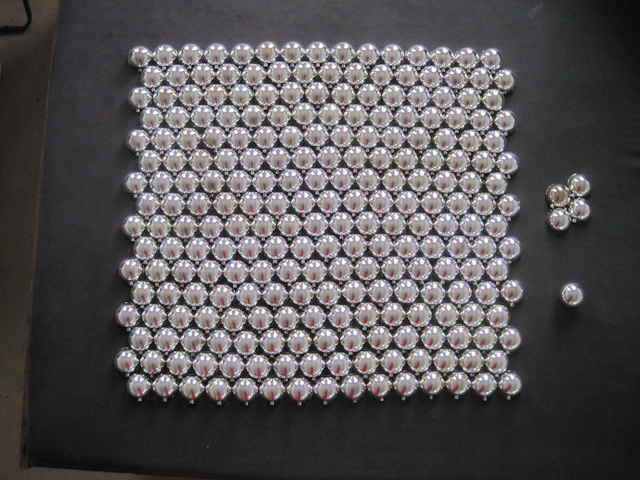 It takes an analog control voltage to light up up to 10 leds and already provides the series resistors inside. 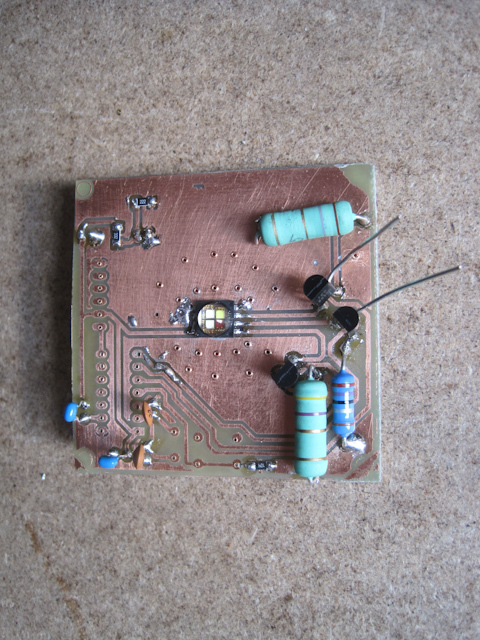 Since I will not use the pwm outputs of the arduino for anything else, it seems convenient. The 34063 is a bit pricey though (€1,35). Apart from all that, the setup worked nicely and I’m looking forward to having it all save and sound in a case to actually start playing with it! 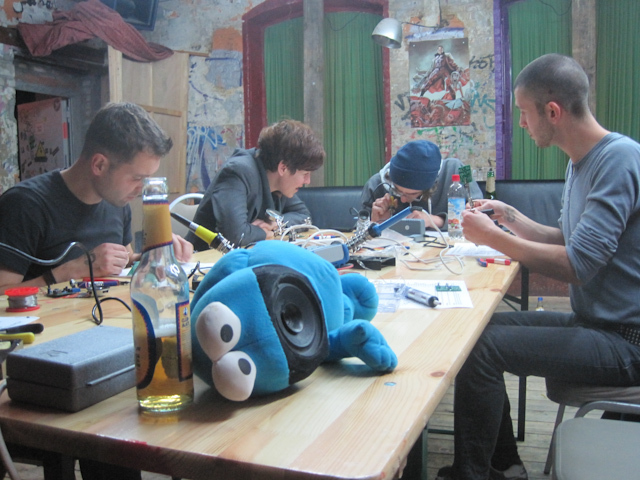 KOMA Elektronik asked me to host a workhop making Quäkmonsters for DE:BUGs “Musiktechniktage” last week. 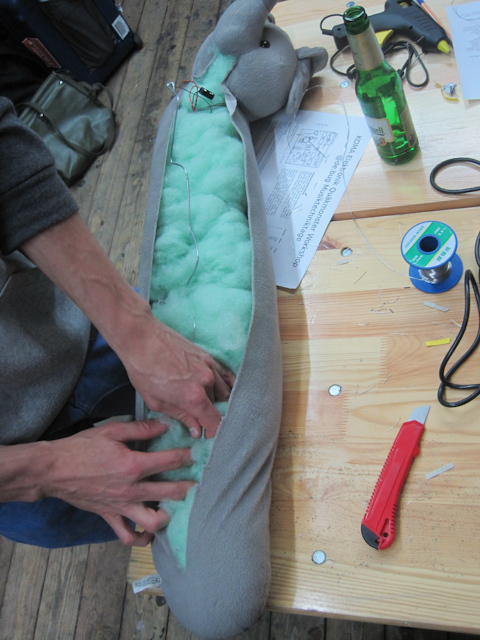 It was quite fun and we got some very nice results. With this positive experience, stay tuned for more to come! These two came out great!